During the last quarter of 2018 the Revenue Department published three Guidelines on the Tax and VAT treatment of Distributed Ledger Technologies (DLT). Coins – i.e. DLT assets designed to be used as a means of payment or medium of exchange, or function as a store of value without the features of a security. Financial Tokens – i.e. DLT assets yielding rights to dividends similar to equity shares, or interest payments similar to bonds, or payments linked with the performance of a specific asset of a company similar to derivatives. Utility tokens – Their value is restricted solely to the attainment of goods and services within the DLT platform of the issuing company, or within a limited network of DLT platforms. Despite the above definitions, there could be instances where tokens and coins may be of a hybrid nature. The tax and vat treatment of a DLT assets will not always be determined by its categorisation, but will mainly depend on the underlying context in which it is used. The value of the DLT assets must be determined by using the market value composed by using the rate established by the Maltese authority, or, the average price on a number of reputable exchanges. Crypto payments should be treated in the same manner as payments in any other currency for income tax purposes. When a payment is made or received in a financial or a utility token, it should be treated like any other payment in kind. Transactions involving coins are to be treated for tax purposes identical to the tax treatment of transactions involving normal fiat currency. The sale of coins held as trading stock, will be deemed to be a trading income, the same treatment applies to gains or profits from mining of cryptocurrency. It is important to note that capital gains derived from the disposal of coins held as a long term investment will fall outside the scope of income tax. Income derived by investors by way of dividends, interest, premiums etc., in a cryptocurrency or in another currency, or in kind, will be treated as ordinary income in terms of the provisions of Article 4 of the ITA. The tax treatment of proceeds from the sale of a financial or utility token will depend on whether it is a transaction of a trading or a capital nature. Any profits made on the sale of tokens, which were acquired with the intention of resale at a profit, will be treated as trading profits. 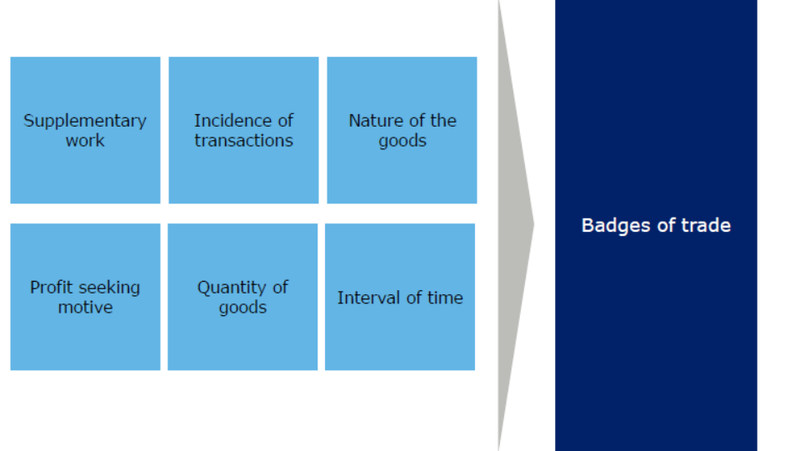 However, in order to distinguish whether a transaction is of a trading or capital nature it might be necessary to use the badges of trade tests. Initial offering of financial tokens: This typically involves the raising of capital. The proceeds of the issue are normally not treated as income of the issuer. The issue of new tokens is not treated as a transfer for the purposes of capital gains tax in Malta. Initial offering of Utility tokens: This entails the obligation of the issuer to perform a service or supply goods to the token holder. The proceeds are treated as a prepayment for the performance of the service or supply of goods. Gains or profits from the provision of such goods or services will represent taxable income. In accordance with the DDTA, transfers of DLT assets with characteristics of ‘marketable securities’ should be subject to duty. Coins and utility tokens will fall outside the scope of the DDTA. Coins which are used as a means of payment must be treated like traditional currency for VAT purposes in terms of Hedqvist. Accordingly, the exemptions provided for transactions in currency will apply to “transactions, including negotiation” in cryptocurrencies where these serve as a means of payment. The exchange of cryptocurrencies for other cryptocurrencies or for fiat money will be covered by the said exemptions. Financial tokens: Financial tokens grant the rights to dividends, interest payments or other rights. If a financial token is issued to raise capital, the issue will not be subject to VAT, because the raising of finance does not constitute a taxable supply of services and falls outside scope of Maltese VAT. Services supplied by exchange platforms to buyers and sellers will have the same treatment applicable to coins. Utility tokens: Token issued against a payment which carries an obligation to be accepted as a payment for goods or services, and the goods or services to be supplied or the identity of the supplier is known, will have the characteristics of a voucher and will be treated for VAT purposes accordingly. Single-purpose Voucher (SPV): In the case of a single-purpose voucher the place of supply and the VAT due are known at the time of the voucher’s issue. As such the payment for the voucher will be deemed to be a payment for the good or service and will be immediately subject to Maltese VAT. Multi-purpose Voucher (MPV): In the case of a multi-purpose voucher the place of supply and the VAT due for the good or service to be purchased is not known at the time of the issue of the voucher, and therefore the VAT will be due at the time of the voucher’s redemption. To find out more, please contact us on info@csagroup.mt, and we will be happy to guide you through the laws that apply to you.